Firstly apply butter and sauce on bread piece. Then sprinkle all chopped veggies on bread piece. Then spread black pepper powder and salt. Now sprinkle grated mozzarella cheese. Now preheat butter on the nonstick pan, now place bread slices on pan and cover it with the plate. Cook, it till converts into brown color. 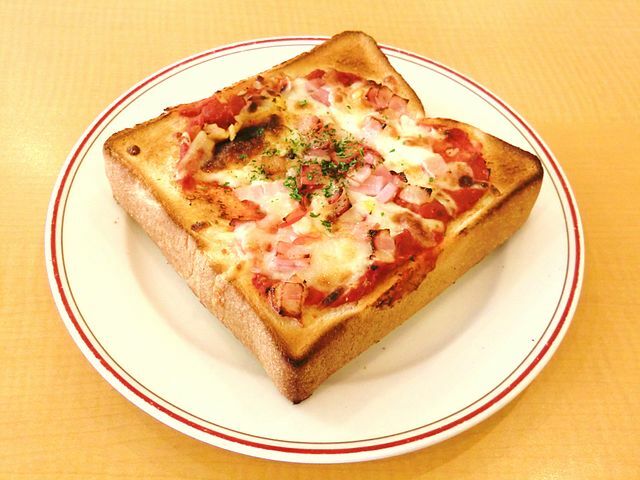 here is our bread pizza ready to serve. Enjoy! !